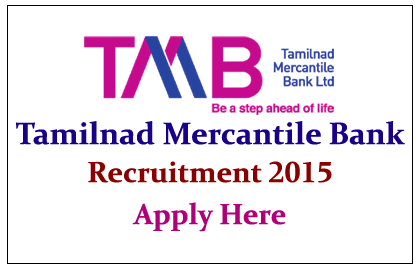 Tamilnad Mercantile Bank has announced the recruitment notification for the post of DGM (Agriculture Credit). Eligible Candidates can apply for this post before 8th April 2015. MSc (Agriculture) or PHD in Agriculture or PG in any other discipline. Candidates will be selected on the basis of the experience and the performance in the personal interview. Eligible candidates can apply for this post by submitting the application in prescribed format as provided below, and along with the all relevant documents and send it to the below mentioned address. The envelope should be superscribed as “Application for the Post of DGM Agriculture Credit”.